How Did This Soccer Mom Score? Picture of Adam at another tournament for his other team. Bad mom! 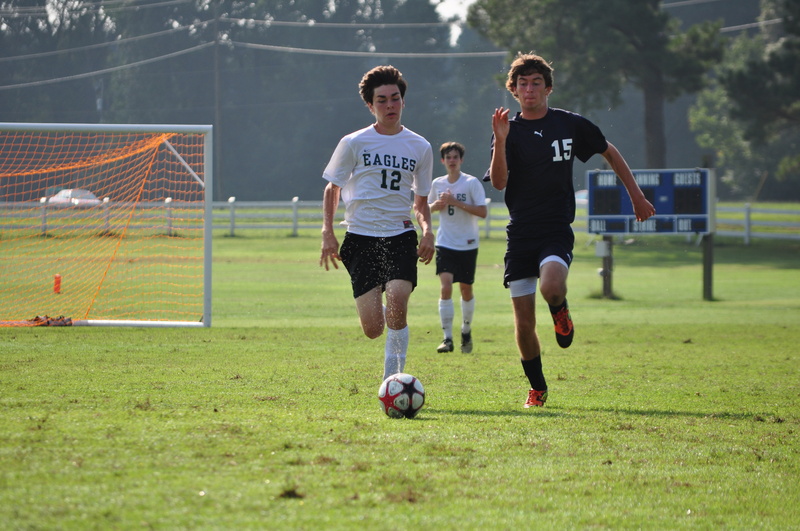 This weekend I got to go to Adam’s Phoenix soccer tournament in Richmond. I love watching him play soccer. He is super fast, kicks the ball really hard and has more energy than the Energizer bunny. I always pack a cooler with fun foods we don’t usually eat. And I get to socialize with the other soccer mom’s for hours on end. What could be better? WHEN I SCORE TOO! 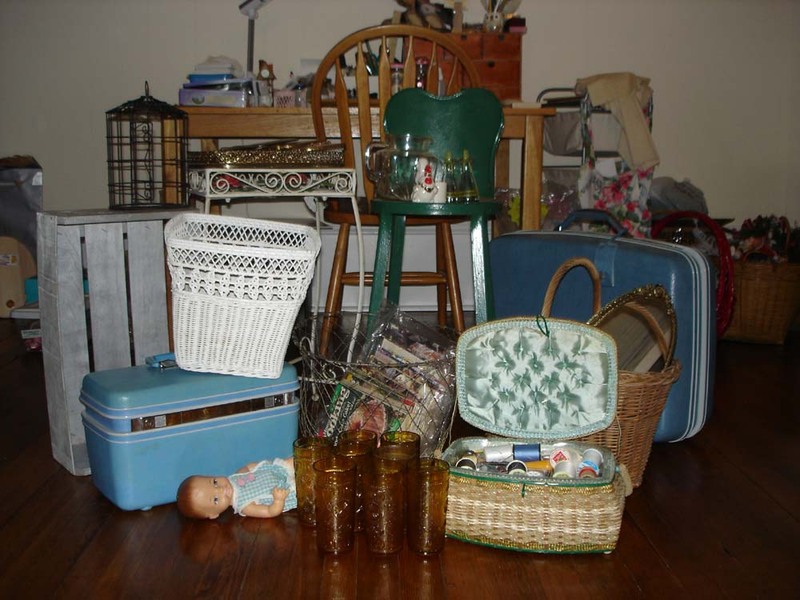 You see, before we left for the tourni Saturday morning, I went to a local estate sale. It was packed with people but I was able to breakaway and score a bunch of goodies. 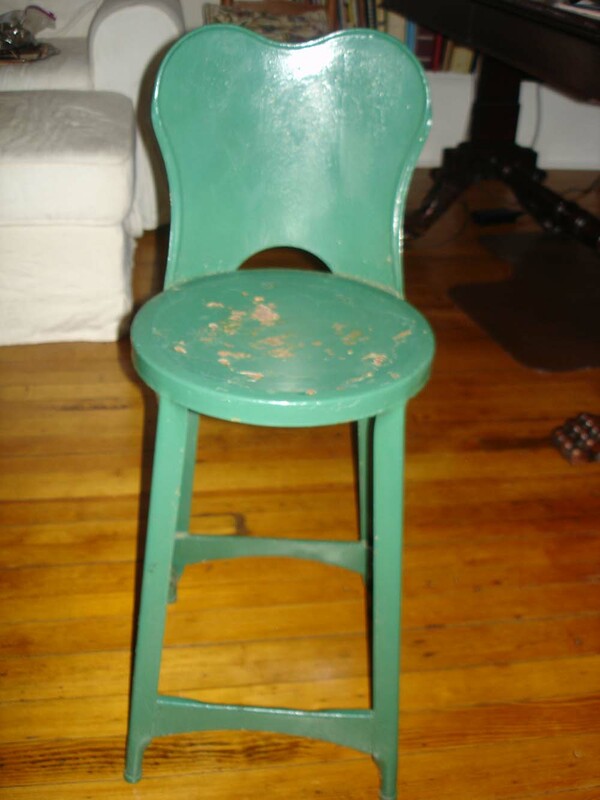 Conveniently (dripping with sarcasm), the first items I got possession of were a stool and some pieces of glassware. I had to buy a big basket (all of $2.00) to assist me with all my small items. Then I had to start a pile with the stuff I scored because I couldn’t hold it all. A nice little girl marked all the stuff I scored with “SOLD” stickers so everybody would know those items where out-of-bounds. Naturally the check out table was nowhere near my score, so I paid the nice little girl $1.00 to help me schlep it to the checkout. Now I had successfully moved my mountain through the checkout, but not even close to my car. I paid the nice little girl another $1.00 to defend my score as I tackled the job of getting everything to my car (which was safely parked on the OTHER SIDE of the highway). 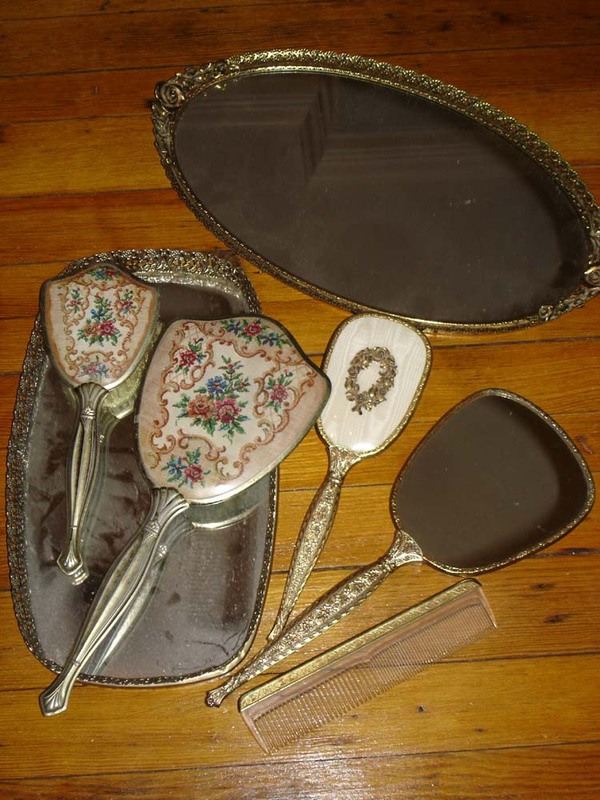 Mirror plateaus and dresser sets. They didn’t charge extra for the dust either! Oooh looky. 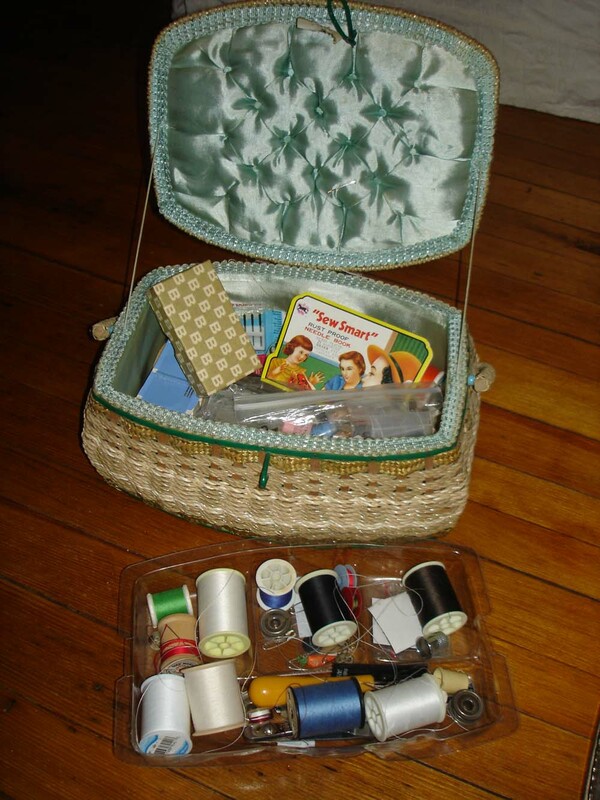 Vintage sewing stuff!!!! 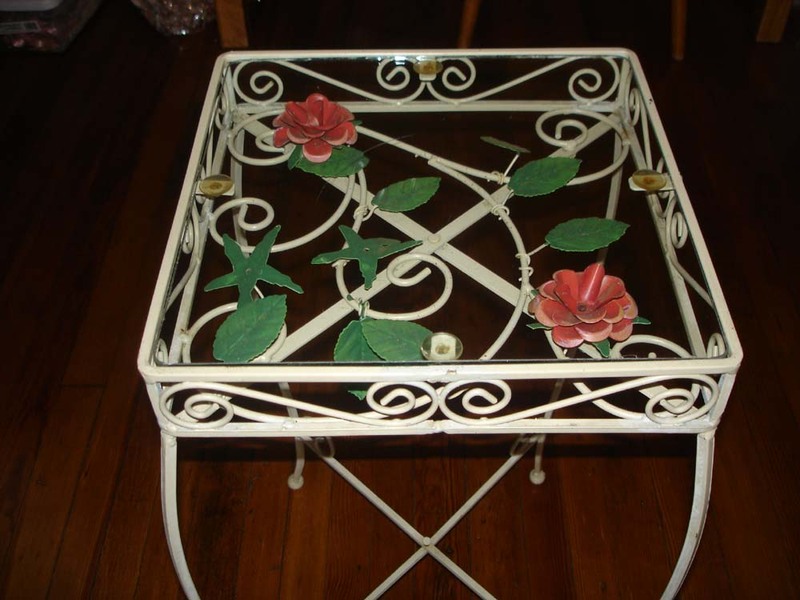 Cute rosy table. Pain in the %#$@* to carry! On the way home from the estate sale, I HAD to stop at a yard sale up the block from our house. 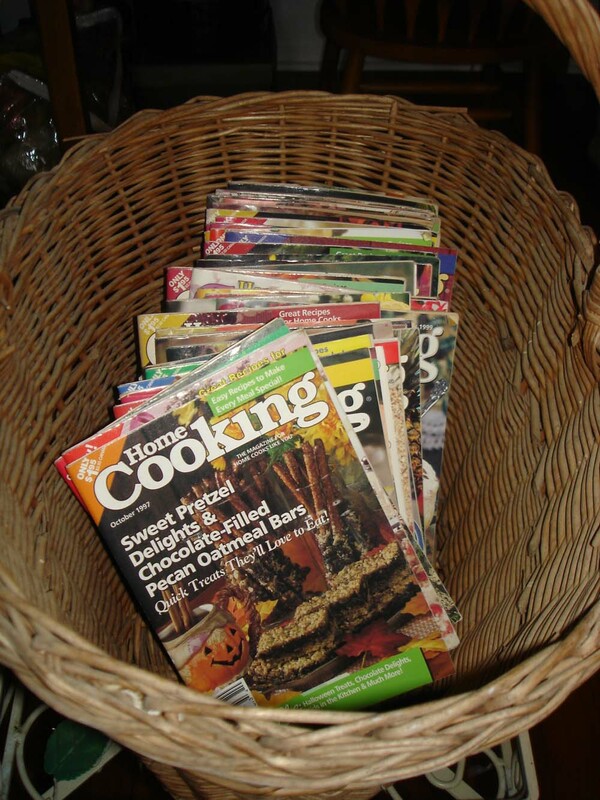 I scored a 1960’s Samsonite train case and 36 small cookbooks there. So I went home, picked up Adam and we went to the tourni. While we were waiting for the Phoenix to start their game, my friend Linda happened to mention that she passed a flea market on the way (thank you Linda!). My friend Barb and I made it our goal to go to the flea market between games. It was so awesome. Unfortunately it was already 2PM when we got there and people were already packing up. However, I was able to score a neat wire basket (in the background) and these. 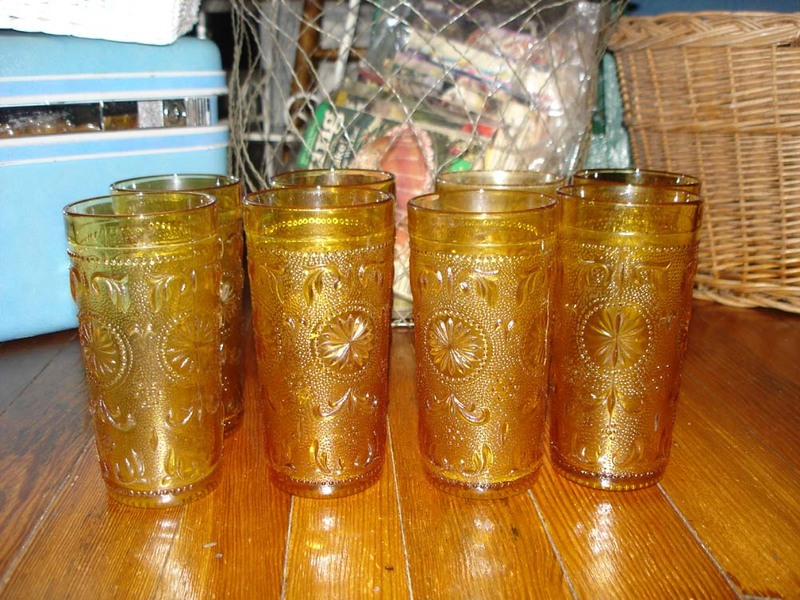 Eight really cute vintage amber-colored glasses. Barb and I used caution and made it back to see the Phoenix play their second game (awesome job guys). But I was so excited about all the stuff I scored, I forgot to take pictures of either game. Bad mom! All in all it was a wonderful day, mixing two of my favorite things, soccer and scoring great stuff. I praise God for giving me such great blessings. All the great stuff I “scored”!!!! That’s a huge score! Nice job! Nice Job, Helen, hope some of it ends up in Classic Cottage! Am I a CCL???? Are you?